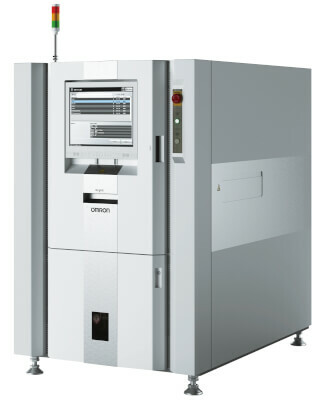 New VT-S730-H: High Speed Full 3D-AOI machine using Omron’s unique 3D-SJI technology for Best Inspection Capabilities. Using a new Fast Image-Capture Module, the VT-S730-H is up to twice as fast as the VT-S730. VT-S730 series Post Reflow inspection machines have been widely adopted in production lines where high quality control is required, including the automotive industry. VT-S730 Series uses a combination of Phase Shift and Omron’s unique color image processing technology called "color highlight ™ 3D shape reconstruction technology". The result is a real 3D-AOI inspection machine offering 3D full component and solder inspection capabilities. It provides the quantification of solder joint shape which dramatically improved accuracy and reduced number of false rejects. In the field, production needs are evolving with the consolidation of the traceability, and the implementation of quality management on a global basis. The New S730-H combines the high performance of the VT-S730 with high inspection speed for the most demanding Electronic Production requirements. 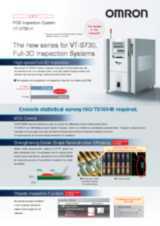 High Speed Inspection (up to double the speed of VT-S730).